This is the first post in a series that covers the Tealiki Land case in Samoa. It first came to the public’s awareness in 2016 when a court hearing occurred in Samoa. The late Gafatasi Mika Fuimaono from Falefa had a claim heard in the Samoan courts in which he claimed to be one of the rightful descendants of the late Tealiki (Apai). The court disagreed with him saying that he had proved his genealogy to “A” Tealiki, but not “THE” Tealiki. This series shares my findings having been asked by the family and their supporters for help in getting their story out. I try to steer a straight course through conflicting evidence, politics, personalities and cultural minefields. My verdict is that there are two sides to every story and that no one is ever fully ‘clean’ but that an injustice has definitely occurred here. 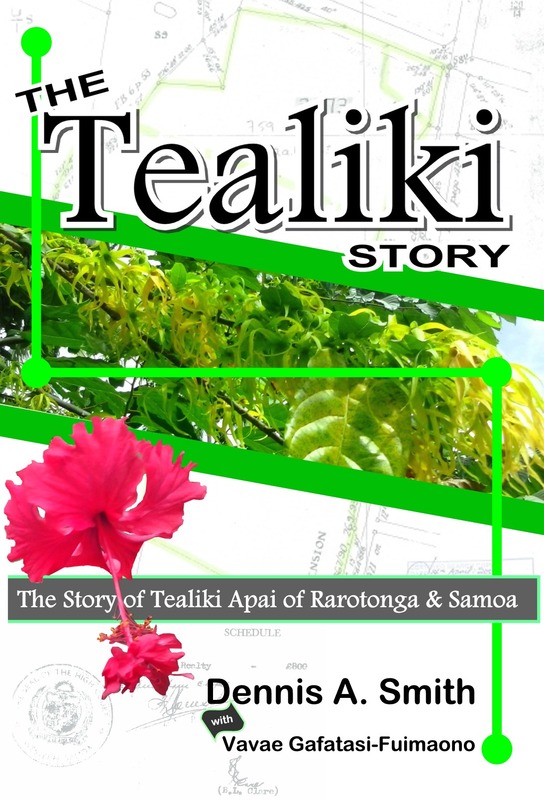 This series contains my take on the story of Tealiki Apai of Rarotonga & Samoa, and how the descendants of Tealiki have fought a battle in court to get back their stolen lands. It’s one of the largest and most important land theft cases in Samoa and possibly the South Pacific. In 1958, fifteen years after the death of Tealiki, an influential businessman* saw opportunity to take the many vacant lands Tealiki owned. Shortly before Samoa gained independence from their New Zealand administrators, he engineered the transfer of these valuable lands to himself. His descendants are now heavyweights in the judiciary, politics and business in Apia, the capital of Samoa. Using every trick in the book (even brazenly destroying and altering public records) they have attempted to pervert justice . . . but . . . bit-by-bit, as the truth comes out, they are losing the battle. The truth will always out. The Tealiki case is the quintessential David & Goliath story with one determined widow taking on the might of these powerful interests. She wants justice. She wants the truth to be known. She wants the family’s land back. That’s what she says, anyway! Samoa is a proud Polynesian nation with a relatively small tight-knit on-island community but it has a large diaspora of Samoans spread across the globe. They are increasingly concerned with the endemic corruption in their mother-land. The Prime Minister (Tuila’epa) has come under increasing pressure with allegations of his direct involvement in a political assassination** and his extra-marital activities being identified publicly***. In this context, where concerns of corruption in Samoa are gaining huge traction, the Tealiki land theft case represents much more than simply justice for the aggrieved family . . . much more. It represents a stand for truth & justice against the corrupution, lies and skulduggery of the ones who have benefited from the original theft. 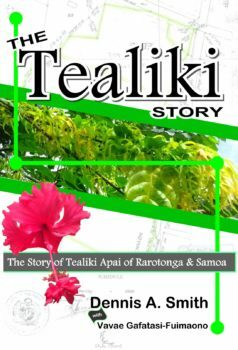 The Tealiki story is riddled with crime engineered from the highest levels of political power in Samoa – names and faces that all Samoans will know immediately . . . the Hunters and the Patus . . . the Prime Minister; the Chief Justice, the Public Trust and a raft of lawyers. It affects large areas of prime land well known to many . . . Apia Park, Sogi, Matautu-tai, Matautu-uta, Vaiala, Tufuiopa & Taufusi. Here I detail the history of Tealiki as best as I can make out; I show you the evidence that was presented to court and allude to other evidence that indicates to me beyond any reasonable doubt that injustice has occurred. I explain the court battles from a non-legal viewpoint and I name the liars & thieves. In my next post I share the story in short form, before diving into some of the details. The purpose of the German campaign against the Jews [1930s] was to eliminate the powerful Jewish economic, political, cultural influence within Germany, and … the total emigration of the Jewish population from Germany.